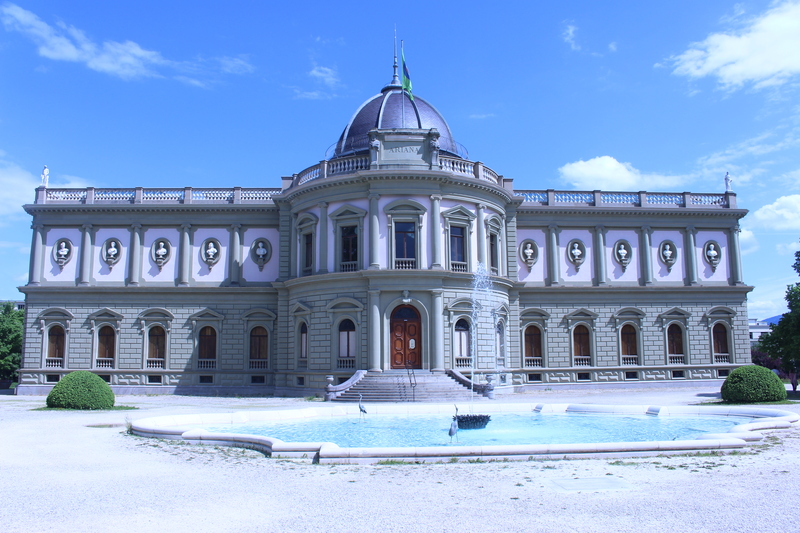 Musée Ariana, or The Ariana Museum in English, is a touristic landmark in Geneva, Switzerland. It is alternatively referred to as Musée suisse de la céramique et du verre (Swiss Museum of Ceramics and Glass.) Musée Ariana is a member of Geneva’s association of art and history museums. Founded by Gustave Revilliod, it houses a magnificent collection of ceramic and glass artwork, and it is the only collection of its kind in Switzerland. Situated within walking distance of the Place des Nations, it is one of many beautiful attractions to visit in this area close to the city centre. Musée Ariana was built by Geneva patron and art collector Gustave Revilliod at the end of the 19th Century. The palatial structure was built to house a large collection of ceramic and glass art, but also paintings, sculptures, and many other forms of art. Revilliod named the museum after his mother, Ariane de la Rive, who left him an inheritance that he used to construct it. He subsequently gave the Musée Ariana, and all its contents, to the City of Geneva. The museum’s architecture incorporates both neo-classical and neo-baroque elements. It underwent a complete renovation between 1981 and 1993. Musee Ariana is situated on Avenue de la Paix, a short walk away from the entrance to the famous Palais des Nations. From Tuesday to Sunday, doors are open between 10am and 6pm. The museum is closed on Mondays. The reduced tarif applies to students. More information can be found on the museum’s official website. Buses 5 – 8 – 11 – 18 – 22 – F – V – Z, or Tram 15. There are blue parking spaces along Ave. de la Paix near the museum, free for one hour. Otherwise paid parking is available at Nations.